Extra space is always beneficial and it can make a huge difference in your move. Having safe spot to place items when convenient for you can make things easier, help create more time, let you go at your own pace and much more. There are many benefits to accessing storage but you want to ensure you hire the right firm and use it correctly so that it helps your removal, so read on to find out how to get the most out of storage. There are many reasons why you may need access to self storage. You may want to pack and remove items gradually, so you can begin months in advance and place them in your container, retrieving them when the actual move begins. You may be moving into a smaller building, want to reduce clutter or you are buying new furniture, so you can place everything out of the way in your unit, while having access to everything if they are needed. If you cannot move into your new abode diffidently from our old one, you will need somewhere to place goods, so with storage, you are covered if you have to move out early, are on holiday, waiting for decorating or building work to be completed, etc. If any of these things apply to you, then you should begin to look for a suitable storage firm. There will be various firms who offer different types of storage so you must ensure you get what you need. Looking things up online is your best bet, as most companies will be at least listed and many will have websites. This will allow you to read up on the firms, see what they offer, hat they charge and it even allows you to read reviews and comments to see what other people’s experience of the firm was. Newspapers, local listings and yellow pages will also list local firms and include their phone number. Ring up a firm to learn more about them and to get a free quote. A good storage firm will have many different units available so it’s important that you only go with one that can offer the one you need. You may want something large to fit furniture inside or maybe just a small locker to place files, jewellery, etc. Only go with firms that allow you free access to your unit at any time, so twenty-four hours a day, even days a week, you can retrieve items or deposit new ones. If a firm offer transportation, that will be very useful for getting your goods easily and safely to the depot. Asking for a quote when you call will clarify what is on offer and how much you will pay for it. Security is vital for a storage company, so only go with those that you feel take this seriously. Your unit should be well constructed to resist bad weather and leaks. It should be locked up tightly and only you should have the key. Guards should patrol and be stationed around the depot, cameras and alarms should be in place, there should be high fences and more. 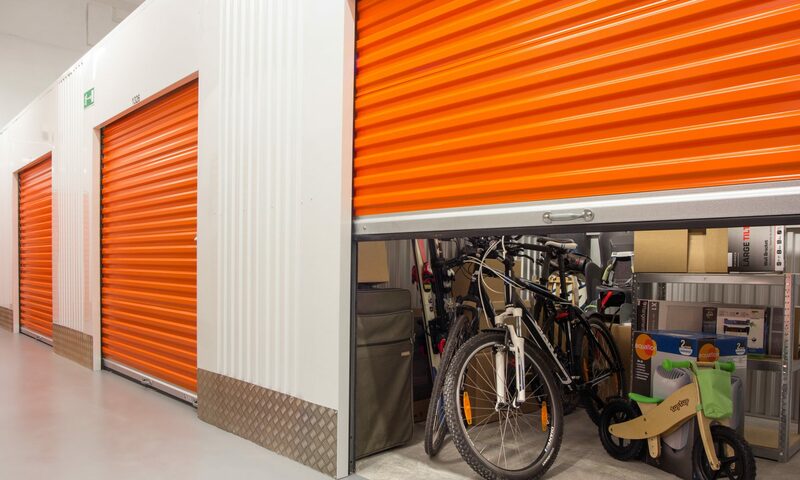 When placing things in storage, it’s useful to keep an inventory to ensure nothing is lost and to wrap goods up to keep them dry, clean and secure. Arrange things carefully so nothing falls over, with large items at the back of the unit, with smaller items on top of them and at the front. If you consider all of this then you will have a successful experience with storage during your move. Next PostNext Guest Post: 15 Tips on How to Prepare Items for Storage.